The Mini Time Machine Museum of Miniatures How Tos are a series of instructions that will have you creating your own miniatures in no time! Created with the beginning miniature maker in mind, each project can be easily completed in less than an hour and often with materials readily on-hand. A hands-on experience makes learning about miniatures super fun. We provide these simple How To's free of charge so that anyone can get involved. Please tell your friends about our site. The Mini Time Machine Museum of Miniatures is a nonprofit 501(c)(3) organization with the mission of preserving and promoting the art of miniatures. If you will be using one of our How To projects with the public, we ask that you please credit The Mini Time Machine Museum of Miniatures in Tucson, Arizona. Learn how to make a miniature Chinese fan in this How To tutorial brought to you by The Mini Time Machine Museum of Miniatures. Learn how to make a miniature fall lantern and miniature birch pillar candle in this 'How To' brought to you by The Mini Time Machine Museum of Miniatures. Perfect for a 1:12 scale playroom or even as a baby shower party favor or craft! Learn how to make a miniature child's bead maze in this How To tutorial brought to you by The Mini Time Machine Museum of Miniatures. 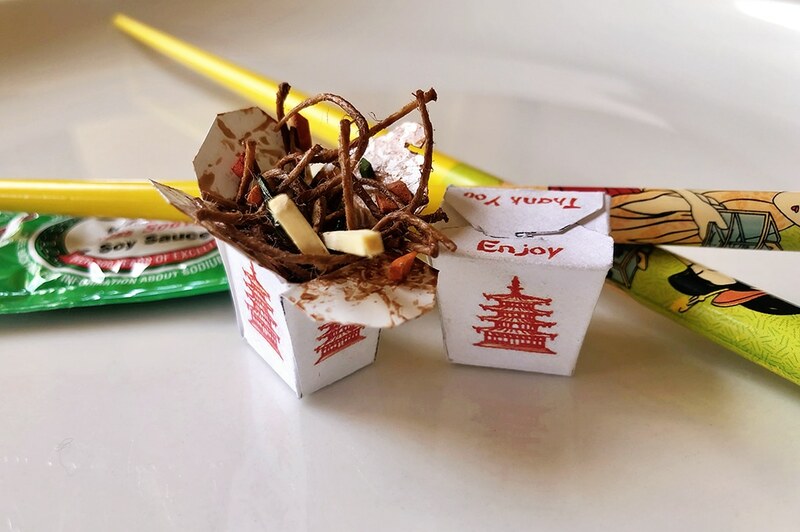 Learn how to make miniature Chinese takeout fit for the... er, smallest of appetites? Brought to you by The Mini Time Machine Museum of Miniatures. Take a chance and try your hand at making a miniature version of the popular board game, Monopoly, from simple materials you are sure to have on hand in this How To tutorial presented by The Mini Time Machine Museum of Miniatures. Create some miniature makeup for your tiny friends. Learn how to make a miniature compact and mascara in this tutorial provided by The Mini Time Machine Museum of Miniatures. Learn how to make a miniature vintage New Year's noise maker in this How To tutorial provided by The Mini Time Machine Museum of Miniatures. Learn how to make a pair of miniature ice skates in this tutorial provided by The Mini Time Machine Museum of Miniatures. Learn how to make some miniature Indian Corn in this How To tutorial provided by The Mini Time Machine Museum of Miniatures. Learn how to make a miniature vintage Halloween treat bucket out of painter's tape and other simple materials in this How To brought to you by The Mini Time Machine Museum of Miniatures. If you like this, you may also like How To Make a Miniature Vintage Bat Halloween Decoration.